 Special cookware for special occasions – from WMF. A basic cookware set consists of different pots and pans. If you want to fill in the gaps in your selection of cooking equipment then you'll be sure to find what you want in the special cookware range. In general, every kind of food you can think of can be cooked in the high-quality pots and pans from the WMF cookware category. Whether you are cooking vegetable dishes or meat dishes, the different types of pot and our selection of pressure cookers offer you a wealth of opportunities. But if you want to cook particular types of food to the highest standards at a reasonable cost then we recommend the products from our range of special cookware. There you will find special pots and pans like woks, which play a key role at the heart of Asian cuisine. For larger pieces of meat or for cooking poultry in the traditional way, a covered roasting pan or a specially-shaped roasting pan is more suitable. For excellent flavoursome and vitamin-rich cooking we recommend the steamer or steam cooker. With this special cookware food is cooked in steam and retains its quality and taste after cooking. If you love French or Swiss cuisine or you're just looking for that something special to serve up at a party, then a meat or cheese fondue is one option. WMF cookware is often made of easy to maintain Cromargan® with a TransTherm® universal base. The sophisticated materials and well-designed construction can't guarantee that your meals will come out perfect every time but can guarantee a long life expectancy. Cromargan® has been used by WMF since 1927 and is a rust-proof and acid-resistant stainless steel with 18 per cent chrome and 10 percent nickel. The material is used for kitchen gadgets and cookware as well as for our cutlery series. In the special cookware category amongst the special pots and pans you can also find a number of accessories such as steamer inserts for the steamer or steam cooker, thermometers, glass lids and fondue accessories. Cooking with WMF – a real joy! Cooking is our passion. That's why you will find a wide variety of different crockery, gadgets and tools in our assortment of cookware and kitchen gadgets. Apart from everything you need for baking, cooking and frying, our shop assortment also offers you everything that you need for an attractive and stylishly-laid table.